When Finn comes across a car accident, little does he realize that his life is about to change forever. The huge, injured animal he discovers is no dog – but a wolf, escaped from the circus that he went to with his Dad. Finn knows that he must save the wolf, Lupa, and prevent her from returning to the circus and the sinister circus clown, Cackles, who torments her. Finn takes her to the vet and they patch her up, but then he has to figure out how he will pay the vet bill. Where will he hide her and how will he feed her? 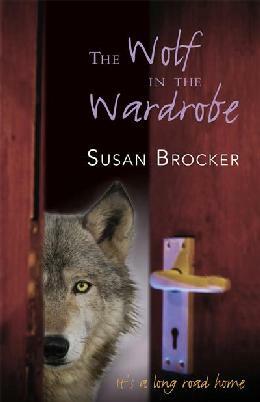 When Finn’s Nana discovers Lupa in the wardrobe, he thinks he’ll be in big trouble, but his Nana thinks Lupa is her old dog Molly and she only wants to keep her safe. Meanwhile, Cackles the Clown is hot on their trail and will stop at nothing to get Lupa back. But Cackles doesn’t even like wolves though so why is he so determined to get her?